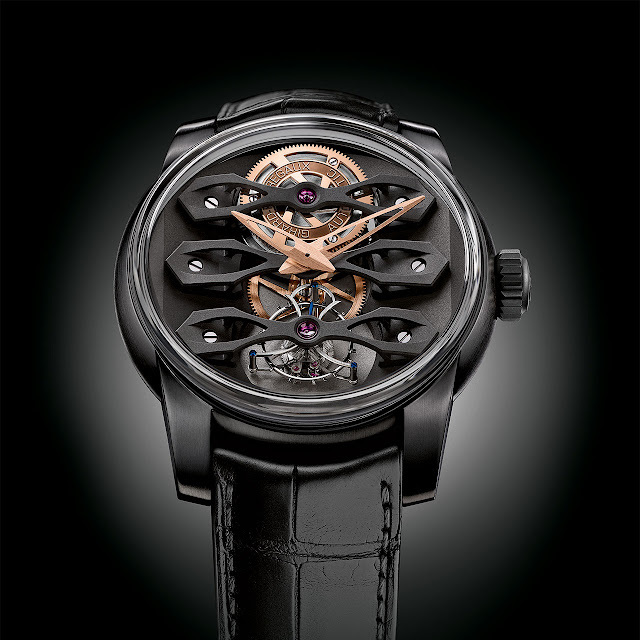 The Neo-Tourbillon with Three Bridges, a contemporary interpretation of the Esmeralda created by Girard-Perregaux in the 19th century, offers a perfect alliance between history, tradition and innovation. The iconic three bridges are made of sandblasted, black PVD-treated titanium. Accentuating these depth effects, the mainplate is also sandblasted and black PVD-treated to focus perspective lines and light towards the centre forming a succession of light grey circles. 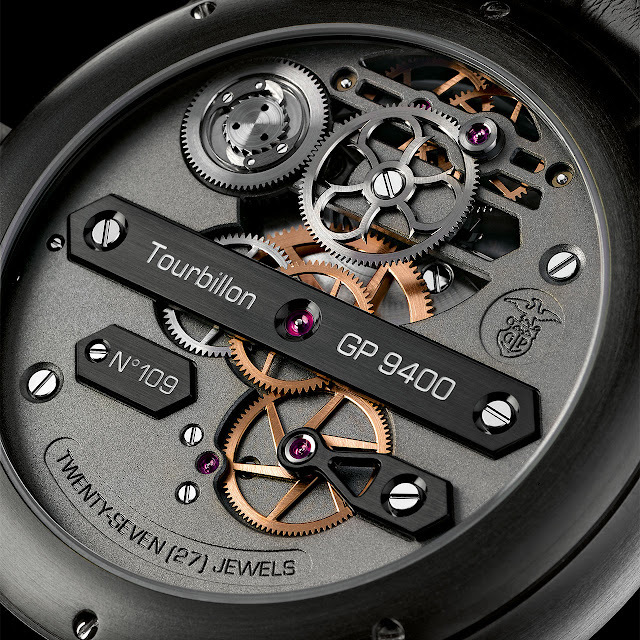 As if to defy gravity, the generous titanium tourbillon carriage weights only 0.25 grams, despite its 80 parts. 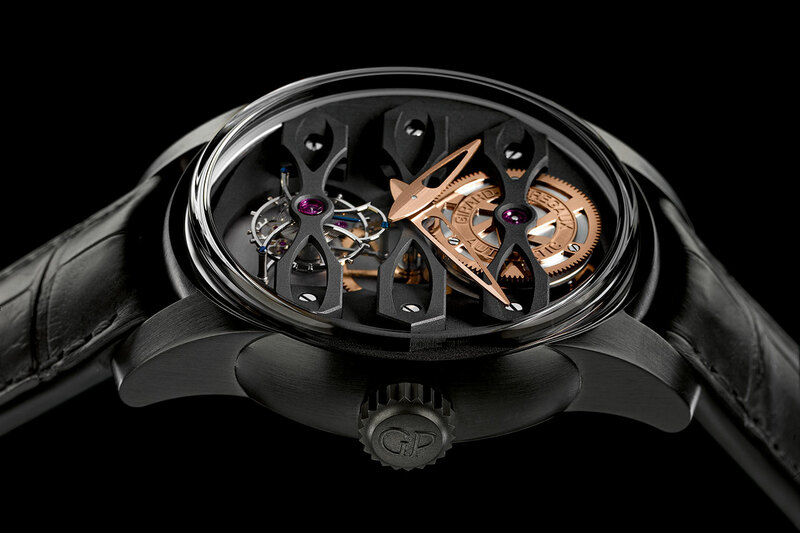 Its fascinating dance is magnified by a remarkably domed “box-type” sapphire crystal enabling the DLC-treated titanium case to do without a bezel.